Yesterday Louise’s office released more detailed information on her funeral services, which is below. MCDC operations will be closed on Wednesday, March 21st at 1 pm, Thursday, March 22nd at 3 pm and all day Friday, March 23rd. Thank you for your consideration during this difficult time. We will be open for normal business hours on Monday, March 26th at 9 am. 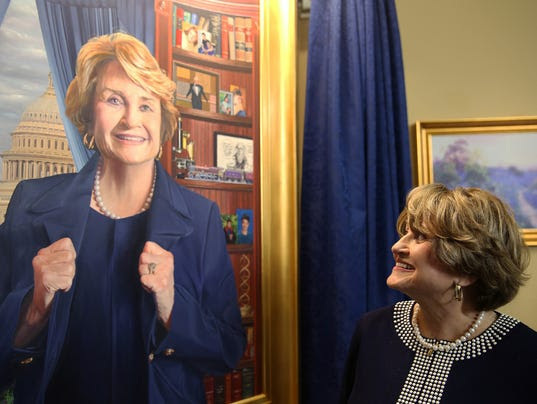 WASHINGTON, DC – The office of Congresswoman Louise Slaughter (NY-25) today released details of the funeral arrangements honoring the congresswoman, who passed away early Friday morning surrounded by family at George Washington University Hospital. The Slaughter family will receive members of the community during calling hours on Wednesday, March 21st from 2pm-7pm ET and Thursday, March 22nd from 4pm-8pm ET at Miller Funeral and Cremation Services (3325 Winton Road South, Rochester, NY 14623). Press will not be allowed to enter the funeral home but can be positioned outside the facility as appropriate. For directions or to submit an email message of condolence, please visit http://millerfuneralandcremationservices.com/. The funeral service celebrating the life of the congresswoman will be held on Friday, March 23rd beginning at 11am ET at Kodak Hall at Eastman Theatre (the corner of Main and Gibbs Streets, Rochester, NY, 14604). The service will be open to the public as seating allows. For information on parking, click here. In lieu of flowers, the Slaughter family requests the public consider a memorial contribution to The Louise & Bob Slaughter Foundation. The new foundation will support the causes and communities that were important to the late congresswoman and her husband. Donations can be mailed to The Louise & Bob Slaughter Foundation at 14 Manor Hill Drive, Fairport, NY 14450. Slaughter was predeceased by her husband of 57 years, Robert “Bob” Slaughter, Jr. She is survived by her three daughters, Megan (Richard) Secatore, Amy Slaughter, and Emily Robin (Michael) Minerva, seven grandchildren, Lauren and Daniel (Erin) Secatore, Emma and Jackson Clark, and Mason, Linus, and Ione Minerva, and one great-grandchild, Henry Secatore. Slaughter’s full biography is available here and her most recent portrait is available here. For additional details about the congresswoman’s accomplishments, click here. It is difficult to put in words the loss our community has suffered today. Congresswoman Louise Slaughter was a living icon for women from all walks of life who wanted to get off the sidelines and make positive change in their community. As soon as we have information on arrangements we will share that with you. WASHINGTON, DC — Liam Fitzsimmons, chief of staff to Congresswoman Louise M. Slaughter (NY-25), announced that the congresswoman passed away early this morning surrounded by family at George Washington University Hospital after sustaining an injury in her Washington, DC residence last week. Slaughter rose to become the first woman to chair the powerful House Committee on Rules since it was formally constituted on April 2, 1789, and was serving as its ranking member. She was a relentless fighter for families in Monroe County and across the nation, and authored the landmark Genetic Information Nondiscrimination Act (GINA) and the Stop Trading On Congressional Knowledge (STOCK) Act, among many other accomplishments. Slaughter, 88, was the dean of the New York congressional delegation, serving her 16th term in Congress. “To have met Louise Slaughter is to have known a force of nature. She was a relentless advocate for Western New York whose visionary leadership brought infrastructure upgrades, technology and research investments, and two federal manufacturing institutes to Rochester that will transform the local economy for generations to come. As the first chairwoman of the House Rules Committee, Louise blazed a path that many women continue to follow. It is difficult to find a segment of society that Louise didn’t help shape over the course of more than thirty years in Congress, from health care to genetic nondiscrimination to historic ethics reforms. The Slaughter family is incredibly grateful for all the support during this difficult time. Details on funeral arrangements will be provided when they are available,” said Fitzsimmons. Slaughter was born in Harlan County, Kentucky and graduated from the University of Kentucky with a Bachelor of Science degree in Microbiology and a Master of Science degree in Public Health. After graduate school, she and her husband, Robert “Bob” Slaughter, moved to the village of Fairport, New York. She and Bob were married for 57 years, until his passing in 2014. Together they had three daughters, seven grandchildren, and one great-grandchild. Slaughter’s full biography is available here and her most recent portrait is available here. Slaughter delivered results for Monroe County, securing major infrastructure investments, bringing high-tech companies to Eastman Business Park, and working to make Rochester a national leader in advanced manufacturing. She secured two federal manufacturing institutes for Rochester over three years: Slaughter led a more than three-year effort to create the federal photonics institute and to ensure that Rochester became the consortium’s national headquarters. After another vigorous Slaughter lobbying effort, she then announced in 2017 that an RIT-led consortium won a competition by the U.S. Department of Energy to headquarter a new public-private clean energy manufacturing institute. For ten years, Slaughter’s congressional district included portions of Orleans, Erie, and Niagara Counties. She secured funding for the new Niagara Falls train station and delivered on critical environmental protections for the cities of Niagara Falls, Lewiston, Tonawanda, and Buffalo. Slaughter, longtime co-chair of the bipartisan Great Lakes Task Force, led the multi-year effort to secure more than $1.2 billion for Great Lakes preservation and restoration. A former blues and jazz singer, she was co-chair of the bipartisan Congressional Arts Caucus and championed numerous arts and cultural initiatives throughout her career. Slaughter worked tirelessly in Congress to hold elected officials and other public servants to the highest ethical standards. In 2006, Slaughter authored the Stop Trading On Congressional Knowledge (STOCK) Act, one of the most important ethics bills in a generation. This law bans insider trading and dramatically increases transparency for federal officials, including members of Congress, cabinet secretaries, and the president of the United States. After her six year fight and a groundswell of public support following a 60 Minutes investigation, the legislation was passed and signed into law on April 4, 2012. She went on to introduce legislation to reform the ethics guidelines for Supreme Court justices and bring transparency to the political intelligence industry. Throughout her time in Congress, Slaughter also fought to ensure equal access to quality education for all Americans. In one of her first major actions as a member of Congress, Slaughter helped ensure that the McKinney-Vento Homeless Housing Assistance Act, the first federal law regarding homelessness, did not neglect children. She ensured that homeless children could continue to attend the same schools even if their family moved to a shelter out of the school district. This law helps 2,440 kids in Monroe County and 148,215 across New York State. As one of the longest-serving women in the House of Representatives, Slaughter was a prominent voice for women and diversity. She was the co-chair and founding member of the Congressional Pro-Choice Caucus, which works to promote reproductive health and protect a woman’s right to choose. Slaughter wrote and successfully fought for the passage of legislation that guarantees women and minorities are included in all federal health trials, established the Office of Research on Women’s Health (ORWH) at the National Institutes of Health (NIH), and secured the first $500 million in federal funding for breast cancer research at the NIH. On January 12, 2007, Slaughter called to order her first meeting of the Committee on Rules as chair. At the time she said, “This is an important body, one charged with upholding the standards of our House and ensuring that the will of the American people is done here. It is a big responsibility, but I know that we are ready for it.” During the 110th Congress, Slaughter helped House Democrats pass more than 230 key measures, more than 70 percent of which had significant bipartisan support. The 111th Congress was heralded as “one of the most productive Congresses in history” by congressional scholar Norman Ornstein. 2007: Brought legislation to the floor of the House of Representatives increasing the federal minimum wage for the first time in 10 years, giving 13 million Americans a $4,400 raise. 2008: Won passage of the Genetic Information Non-Discrimination Act (GINA), a law that Slaughter authored to protect individuals from discrimination by employers or health insurers based on genetic predispositions to health conditions. 2008: Brought legislation to the floor leading to passage of the Post-9/11 Veterans Educational Assistance Act to provide free college education to veterans of Iraq and Afghanistan. 2009: Won passage of the National Women’s Rights History Project Act – after nearly a decade of work with then-Senator Hillary Clinton – as part of the Omnibus Public Land Management Act of 2009, authorizing the Votes for Women Trail, an auto route linking historical sites with importance to the struggle for women’s rights and suffrage. 2009: Brought the American Recovery and Reinvestment Act to the floor of the House of Representatives, which created and saved 3.5 million jobs, gave 98 percent of American workers a tax cut, and began to rebuild American infrastructure. 2009: Brought the Affordable Care Act to the floor of the House of Representatives for an historic vote, expanding and improving health care for Americans. 2010: Won passage of the Airline Safety and Pilot Training Improvement Act in the wake of the Colgan Air Flight #3407 disaster in the Buffalo area. 2010: Ushered the Student Aid and Fiscal Responsibility Act of 2010 to the floor of the House of Representatives, providing large increases in the size of Pell grants, strengthening the Perkins loan program, and drastically lowering interest rates on federally subsidized student loans. 2010: Brought the Dodd-Frank Wall Street Reform and Consumer Protection Act to the floor of the House of Representatives, ensuring that unchecked corporate greed will never again bring America to financial collapse. We know you love Louise as much as we do. We’re asking for your help to show her how much we appreciate her and to send along positive thoughts to her speedy recovery. MCDC is open to anyone who wishes to stop by our University Ave offices and sign a Get Well card for our Congresswoman. You can also sign a petition or sign up for a shift to volunteer if you have not had the opportunity yet! Feel free to call out offices at (585) 232-2410 or stop by. Our offices will be open til 6:30pm for the next few days, as we plan to mail these out this Friday (3/16). Thank you for your continued support! Louise is our fighter for Upstate New York, and we thank you for staying with us in this fight.